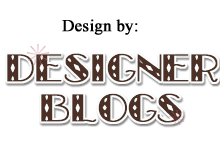 I feel like I have been neglecting my blog and all of you as my readers. I've been so incredibly busy since Christmas, that my time blogging has been limited. I figure it's only fair that I give you a bit of an update on my life. I struggled a bit with depression when I came home from Washington, D.C. The weather here turned incredibly cold and we have gotten snow, snow, and more snow! So far it isn't going away. However, after a few weeks of what literally felt like a cloud of depression on and around me, I feel like it is finally lifting. I'm just two weeks away from March, and March can mean Spring (or at least I'm hoping so). I've also taken on an additional new project. In August, my sister gave me one of the best gifts she could have ever given me, I was able to be at the birth of her son, my first nephew's birth, as the birth photographer. As long as I can remember, I have loved photography. As a little girl, my Grandparents gave me a Polaroid camera as a gift. I think I was 8 years old. I took that camera everywhere and used my own money to buy the film for it. It was a treasure for me and I still have that camera today. If you asked me as a child what I wanted to be when I grew up, the answer was always either a teacher or an OB/GYN (and yes I used that term even when I was little). I loved babies. I ended up deciding that a teacher better fit me, although I still would love to go back to school to be a doula or midwife. However, while I chose to go to school to be a teacher, I still pursued my love of photography. When my sister gave birth, a passion was ignited inside me and suddenly I realized I loved it! I got to be part of the birth process and use my love of photography. At first I thought maybe I loved it so much only because it was my nephew's birth. 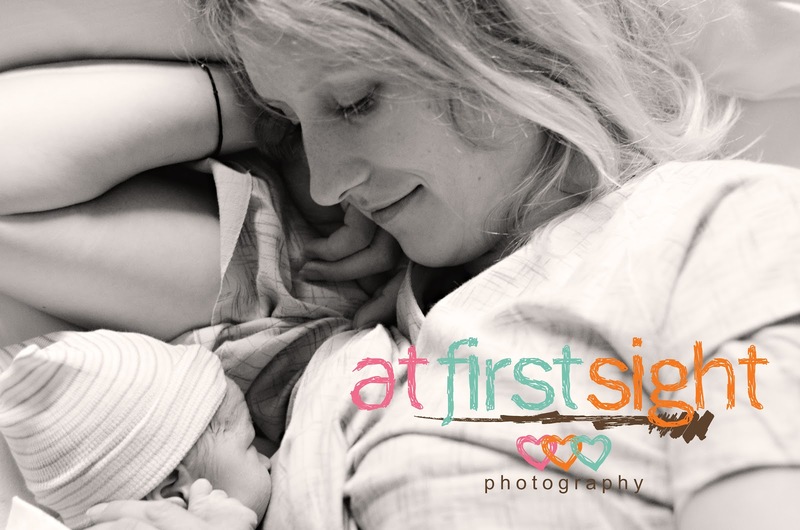 In October, I had another couple contact me about doing birth photography for the birth of their daughter. The passion was still there. I went home from that birth knowing that for the first time since being a teacher and being a mom, I found something I loved to do with all my heart!! After a third, and subsequent fourth birth, I can honestly say, I knew that I should become an official birth photographer. The honor, the joy, the passion was all there and I had to do it. I've been working on creating a logo, getting business cards made, and doing everything I can to establish a business. The last few weeks have been very busy doing these things. Thus, my blog has taken a back burner as I've learned all about establishing a business and worked on starting it up. I promise in the coming weeks I will be back to a normal schedule. 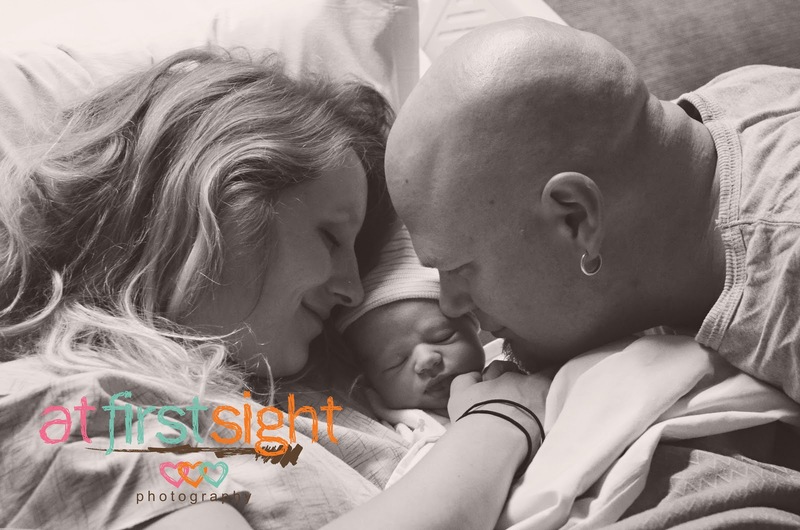 In the meantime, if you want to follow my birth photography, feel free to check out my Facebook page, At First Sight Photography. Have the last few weeks been crazy for any of you? Are you ready for winter to be over with, or is it nice where you live? Heck yes I am ready for winter to be over and honestly I have prayed for you this winter because I know you struggle with hating winter and this one has beem snowy and long and cold and sister, I feel ya this year!!! I LOVE your birth photos, they really are amazing!!! What a special event to capture. I am so incredibly grateful my sister was able to capture my births, I LOVE having these photos.Blessings to you in your new adventure. You will do AMAZING! Thank you SO much for praying! I've been doing pretty well until I got home from D.C. and I'm coming out of it now. SO hoping it's over soon. Aren't sisters special? :) And thank you, I'm so excited to be doing this! I absolutely LOVE these photos! God has truly blessed you with a wonderful gift!! Thanks Megan! :) I sure love doing it! Wordless Wednesday: Squee!! I love her!